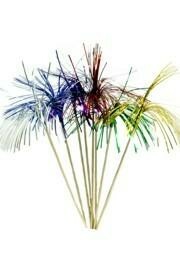 A bag of 8 cascade picks in assorted colors. 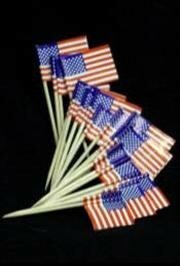 A pack of USA/ American flag picks. 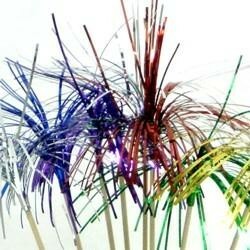 These measure 2 inches 1.5 inches. 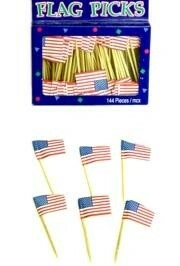 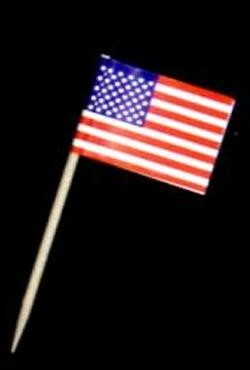 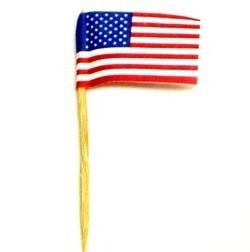 They are great for Patriotic parties and parades. 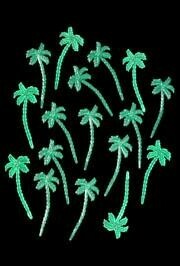 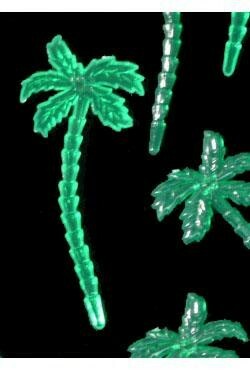 1 unit has 72 green plastic palm tree picks.